Everything for the professional foam cleaning. Your requirements are our strengths! Our product line easyfoam365+ offers you a wide range of technically mature products for the professional foam cleaning! Please go and see for yourself! 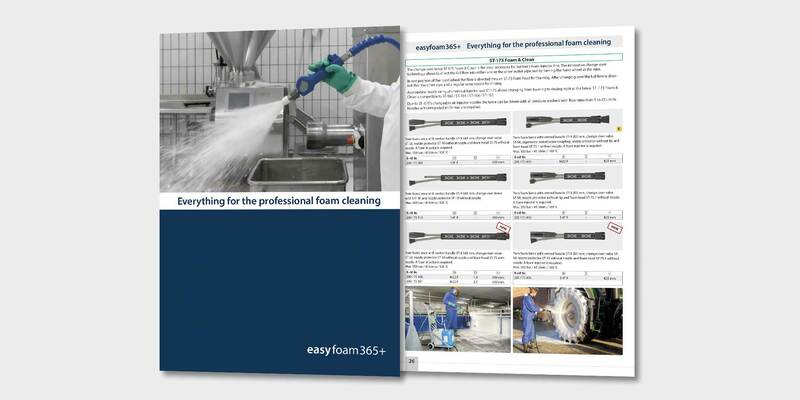 The easyfoam365+ brochure gives you detailed information about our easyfoam365+ product line.